Click And Rush Design Studio believes in clean, elegant and content accessible design. We strive to create design of a clear and modern fashion that will create a lasting impression with your clients. Design is the most important facet of your website - your need is to make a quick impact and Click And Rush can help you achieve that. Our websites are clean - not cluttered, light and fast - not slow and perpetually "loading". Come to ClickAndRush.com to view a broader sample of our work and email us any time you like! 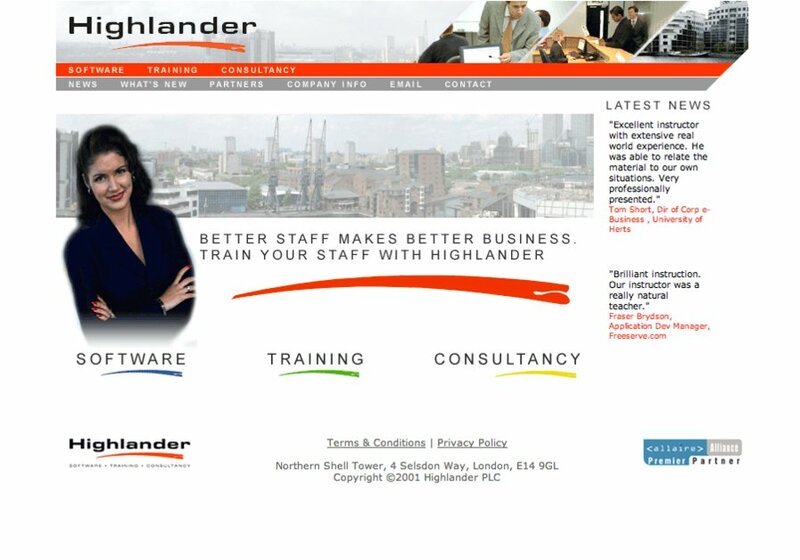 Highlander was a website redesign project with the aim of increasing the feel of "Tech" for the company while keeping the site clear, concise and content accessible.